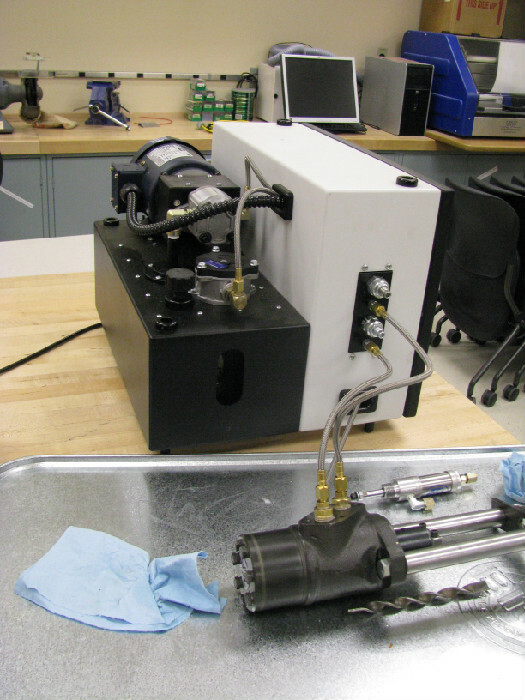 Our custom-designed hydraulic trainers provide safe, effective hydraulics training. 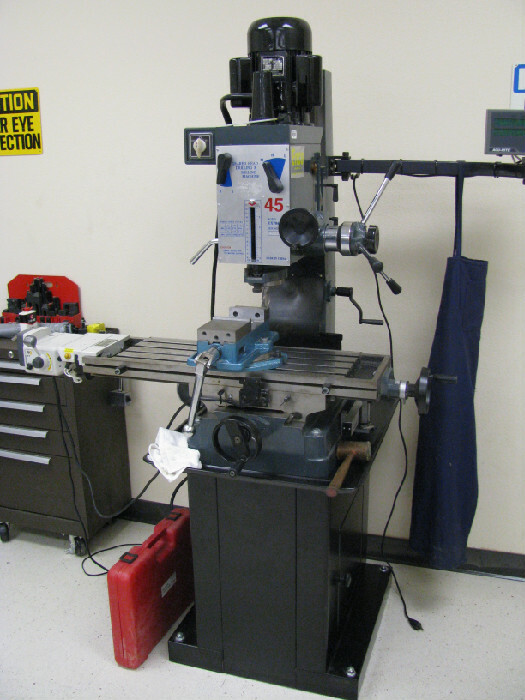 Students get hands-on experience and safety training on the milling machine. 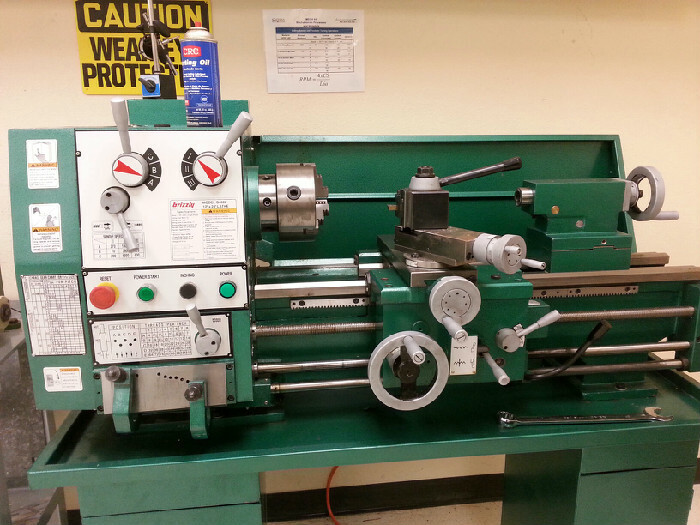 Students receive hands-on training and experience with this metal (engine) lathe. 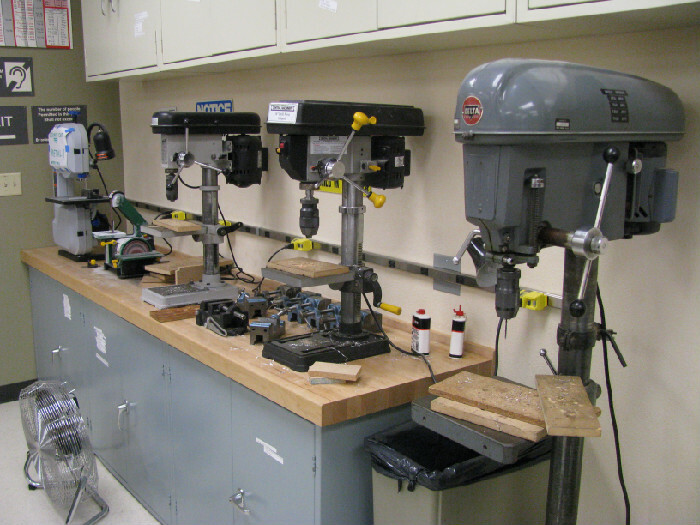 Students make extensive use of drill presses, sanders, and other power tools. 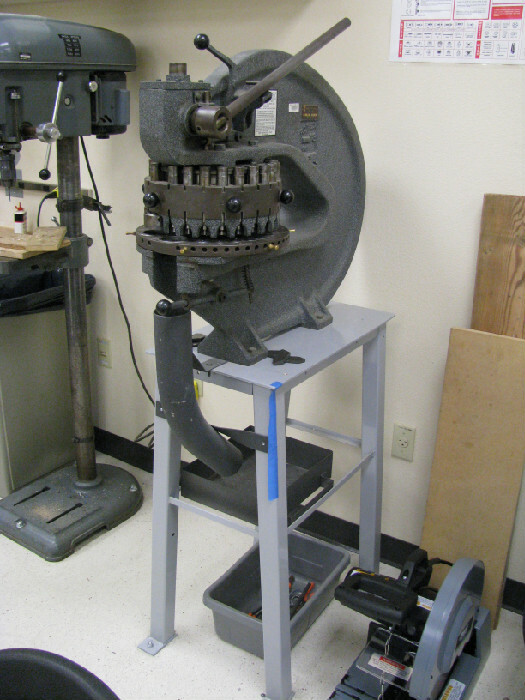 Our metalworking tools, such as this turret punch, are industrial quality. 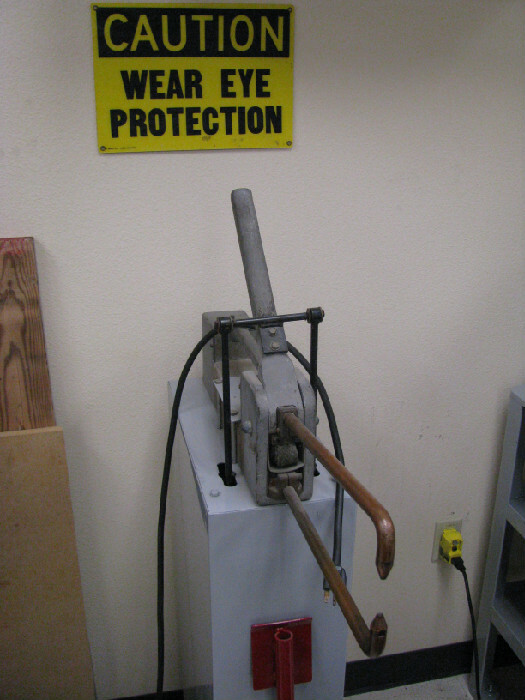 Students are introduced to welding with this resistance welder.